Are you a wine connoisseur looking for the next great wine pairing or a wine rookie still learning which wine would be best for your chicken parmigiana? 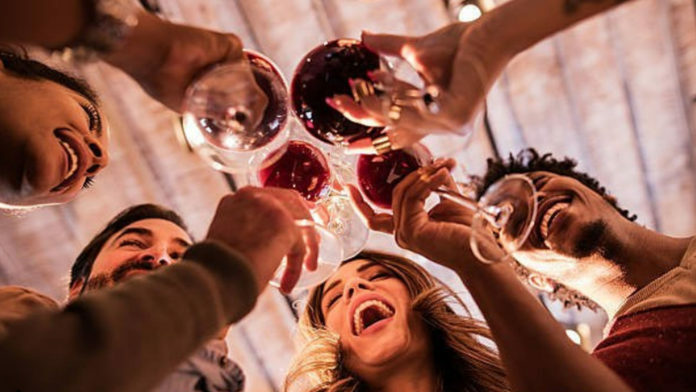 Whichever you may be, the Okanagan Wine Festival in British Columbia, Canada should be the next destination for you this January! What started as a two-day festival in 1998, the Okanagan Wine Festival slowly became one of the most anticipated food and wine events of the year in North America. It has four seasonal festivals held during the fall, spring, summer and winter, but it is the Winter Okanagan Wine Festival that is considered as the most unique of them all. The 10-day Winter Festival is usually held during the second to third week of January at the Sun Peaks Resort. It offers a wide selection of Okanagan wines from local wineries, numerous wine-related activities, and an assortment of delectable meals from local restaurants. The Taste of Sun Peaks Event is a foodie’s dream come true as the local restaurants and wineries come together to give you a taste of their menu. It’s not just a culinary event, too! You get to meet new people from all walks of life and enjoy live music, fresh from the local scene. One of the festival’s most popular event is the Sun Peak’s Ice Wine Progressive Tasting where guests—wine glass and map in hand—stroll through the village in search of wineries and venues offering some tasty samples. You’ve heard of wine and cheese pairings, but have you ever heard of combining chocolates and wine? The Rocky Mountain Chocolate and British Columbia wines event will introduce you to a decadently sinful pairing of chocolates and local wine. While the Okanagan region is famous for its wine, it’s also a fantastic place to enjoy winter activities. You can ski, snowboard, or skibike at the Sun Peak’s snowy slopes, ice skate at the public rink, tour the resort on dog sleds or horse-drawn sleighs, go on a tour of the wineries around the area, or just enjoy the view from the top of the slopes. The Winter Okanagan Wine Festival offers the perfect combination of food, wine, and winter activities. So at the end of the festival, you’ll have a satisfied stomach, a newfound knowledge of wines, and a ton of winter wonderland memories.